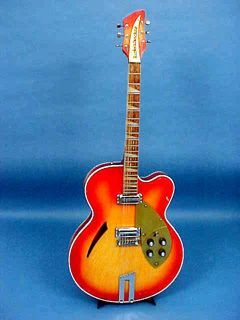 The model 360F is one of the guitars from the Thin Full-Body Series. 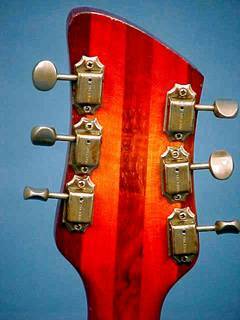 These guitars were introduced in 1958. 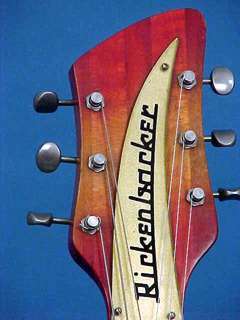 The early guitars in this group of Rickenbackers were approximately 2 1/2 inches thick. 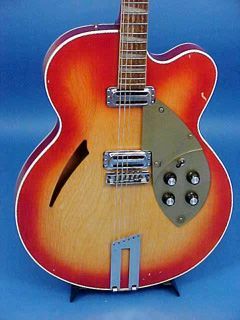 The model pictured here has the modern chrome top control knobs rather than the original TV-style knobs. 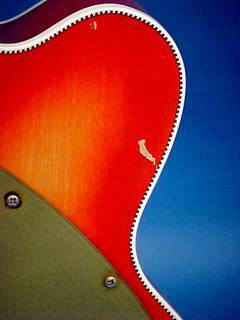 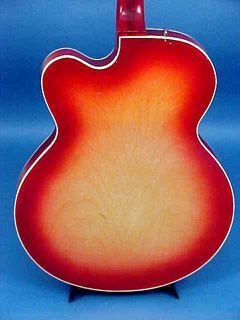 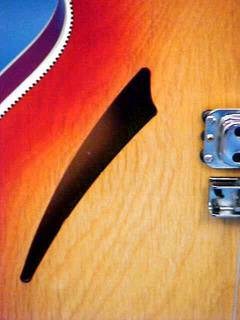 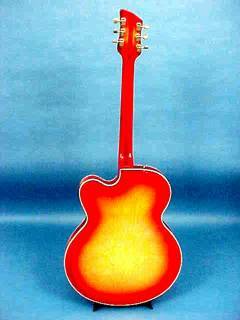 After 1963 the long flat tailpiece was replaced with a long 'R' tailpiece.